The Killer B Turbo compressor assembly will flow 73 lbs./min or 1060CFM and when fueled for the designed 525hp will generate a positive boost-to-drive pressure ratio without increasing exhaust temperatures beyond peak operating conditions. The Killer B’s Borg Warner rotating assembly features an Extended Tip HIP’d 63mm compressor wheel and full floating axial bearings with a 6-pad thrust bearing design for long term durability and quick spool up. 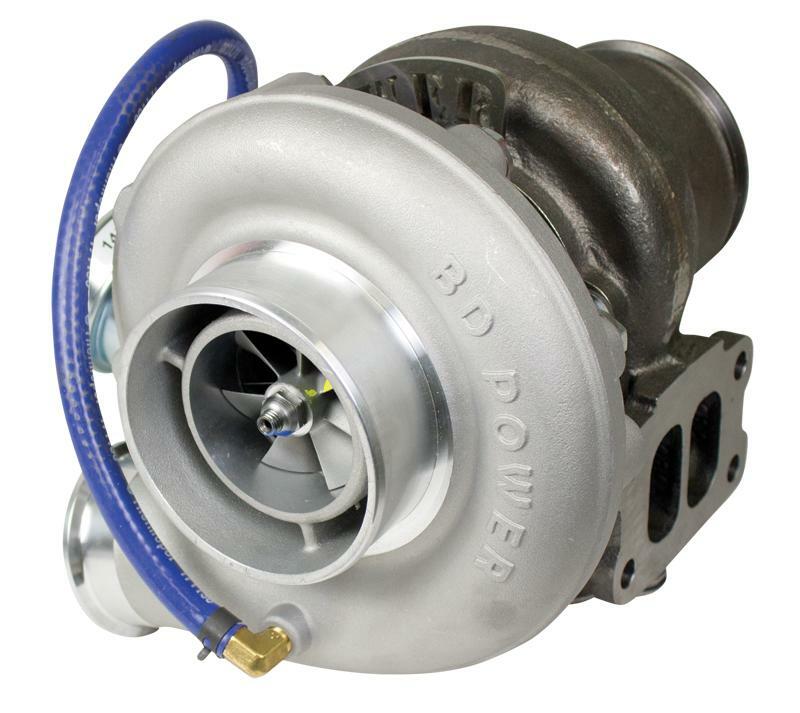 With the BD compressor housing, there is perfect fitment to the stock turbocharger inlet connection points. The dual volute wastegated turbine housing is made of ductile High Sil-Moly cast iron that easily handles peak operating exhaust temperatures (EGT’s). Our heavy sprung dual waste gate actuator prevents boost creep while BD’s own Turnbuckle Boost Control allows for ease of adjustment for altitude and extreme tuning. Excellent for those who want to light up the track, the Killer B is great for hard working Cummins 5.9L towing or street applications with modified engines fueling systems. 2003-2007 Kits available with 4.0 in. downpipe or to easily “clamp on” to a BD Turbo Mount Exhaust Brake. 1994-2002 Kit comes with a 4-inch exhaust down pipe, clamp and gaskets.